^ a b c d e Barnett, Michael L.; Linder, Jeffrey A. (2014). “Antibiotic Prescribing for Adults With Acute Bronchitis in the United States, 1996-2010”. JAMA 311 (19): 2020. doi:10.1001/jama.2013.286141. ISSN 0098-7484. ^ a b Albert, RH (1 December 2010). 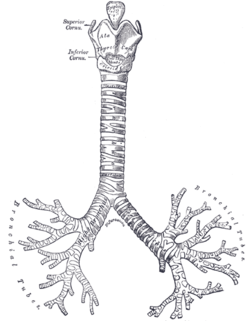 “Diagnosis and treatment of acute bronchitis.”. American family physician 82 (11): 1345–50. PMID 21121518. ^ a b c d ﻿CG69: Respiratory tract infections (self-limiting): prescribing antibiotics﻿ (Report). 英国国立医療技術評価機構. (2008-07). https://www.nice.org.uk/guidance/cg69/.